Macbeth Hensley is a slim mid-top perfect for a little shred time made better with a couple new Vegan colorways! Both are a synthetic nubuck upper in classy earth tones and some anchor detailing on the tongue and collar to keep you singing sea-shanties into the night. All metal eyelets are a nice touch for quick lace up. 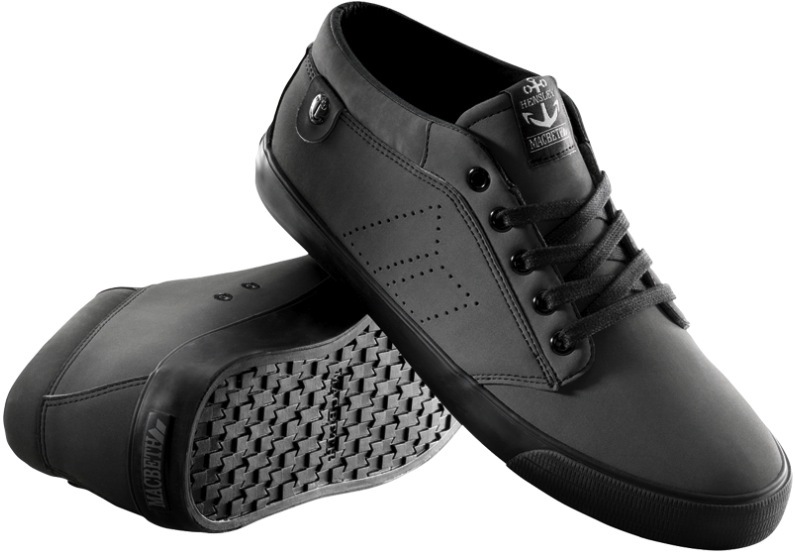 Macbeth trademark tread on the vulcanized soles have a great board feel.